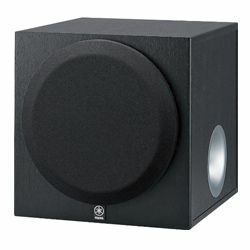 The Polk Audio PSW125 is a great 12-inch solution which is perfect for middle and large-sized rooms and powerful setups. This model is built using high-grade components only. Therefore, you will always get clear, distortion-free bass sound. This model is stable and it is power efficient even if you set the volume to the maximum. This model was engineered and designed using various Klippel technologies and numerous innovative features to combine the high level of reliability with the stunning output power. 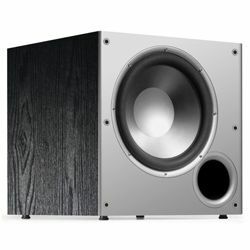 This Polk Audio PSW125 review should help people who look for a great solution. The body is made of the high-class MDF material. 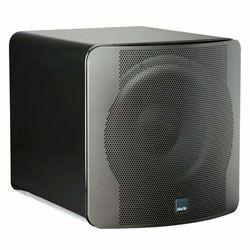 The polymer woofer composition makes it very stiff, while the vented enclosure type helps to avoid any resonance or noise. This model is available in two variants – black and cherry. The latter will be a great option for people who prefer natural wood texture. It has a 12-inch front-firing driver with a down firing port. It was designed using the Dynamic Balance technology to make sure the speaker geometry and the construction can produce lean and crisp sound. The correct motor structure optimization and voice coil alignment were achieved via using of the Klippel Distortion Analyzer technology. This model has RCA LFE inputs, RCA stereo line level inputs, speaker outputs, and inputs. The spring terminals are gold-plated, so you get no noise. The dimensions are 16.5x16.2x19.3 in and the weight is 40.1 pounds. The PSW125 specs show that this is a high-performance model for everyone. The nominal output power is 150 W, while the maximal output power reaches 300 W and the audio amplifier output power is 300 W as well. The frequency response range is quite large – from 32 Hz to 225 Hz, while the crossover frequency range makes it easy to blend with any speakers setup you might have – it comes from 60 Hz to 160 Hz. It also features phase control and the low-pass filter. This model is built using the smart circuitry technology, superior compression, and an intelligent amplifier so it delivers deep bass sound with extremely low distortion and great blending options. 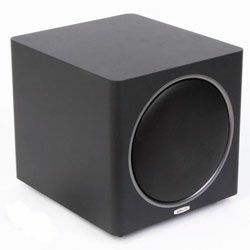 Many customers are satisfied with the subwoofer – they like the build quality and the output sound, which is not muddy and some customers claim that this model will be perfect for everyone except for the most critical audiophiles. Customers also claim that this model is quite large and you need much space for it. Customers state that this model is exceptionally great for movies. It is also a good option for music and it works well even at low volume. However, some customers claim that it does not have enough power for a 12-inch solution. Nevertheless, some customers have issues with this model – it does not turn on from the standby mode automatically, so people had to do it manually. Later, some people start having to crack and popping noises. Some customers claim that their units worked for three years or less. Customers do not have any issues with the PSW125 setup process – it is pretty straightforward. It comes with a well-detailed manual, so you will connect everything up and configure correctly even if you have not done it before. All ports and dials are labeled, which also makes the process easier. Having connected it with another device (e.g. a receiver), you can start tuning the crossover frequency dial to make this model blend with your other speakers. Some customers state that they needed some time to get the Polk Audio PSW125 settings right, but that was exclusively a matter of time, nothing complex about that. 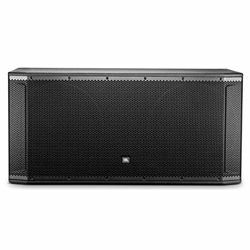 The Polk Audio PSW125 is right for you if you need a high-performance solution and you need a subwoofer for a middle or large-sized room (of course, it is an option for small rooms as well). This model outputs clean and rich bass sound and it is designed using various technologies to make sure the output sound is not distorted. However, some customers experience issues with this model (noise or it stops working) after a reliably short term (three years or less).